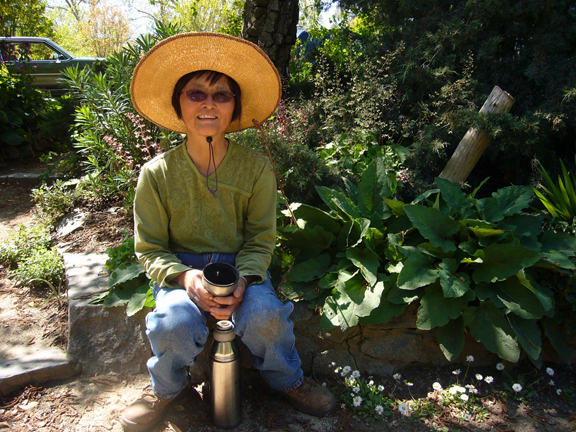 Master Gardener Daisy Mah at the Living Library! Sacramento Master Gardener Daisy Mah will speak at the Sacramento Living Library this Sunday at 7PM. Mah has worked on many of the City’s best gardens including the McKinley Park Rose Garden, and the WPA Garden in Land Park. We profiled Mah last year, and she has plenty to say about her time in Sacramento’s City Gardens and about her successful efforts to reintroduce CA Natives. I started to write this post a few days ago, and then I got lazy about writing a full review, so I didn’t do it. However, I do want to recommend Jesus Hopped the A Train at Capital Stage. That’s the theater company that makes its home in my beloved Old Sac – but not for long! They are moving to Midtown. Anyhoo, their current production, which runs through May 22nd, is one of their stronger offerings this season. Not so much because of the play itself, which is good in a TV drama sort of sense (this playwright has written for TV, including the Sopranos) but for the two lead male performances. Eric Aviles, playing Angel, gives a wonderfully naturalistic performance. Thumbs up!